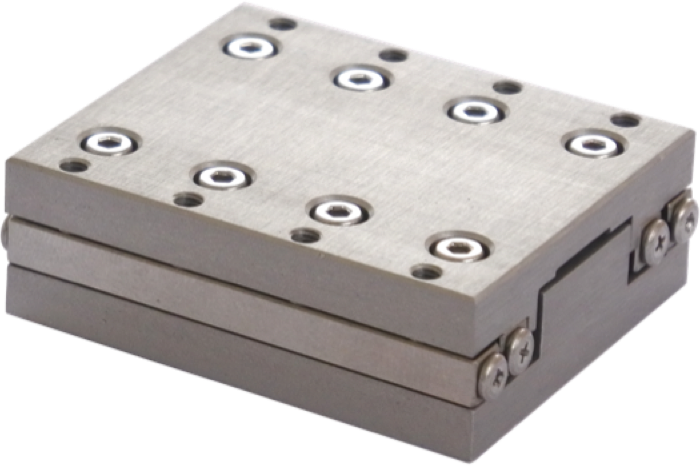 The Xeryon Linear Stage (XLS) is a precise linear stage driven by a noiseless ultrasonic piezo motor. This allows fast positioning with nanometre accuracy. The self-locking piezo motor holds the position of the stage when it is not powered. As a result, energy consumption and heat generation are considerably reduced. The integrated encoder has a resolution of 1.5µm (=1500nm).